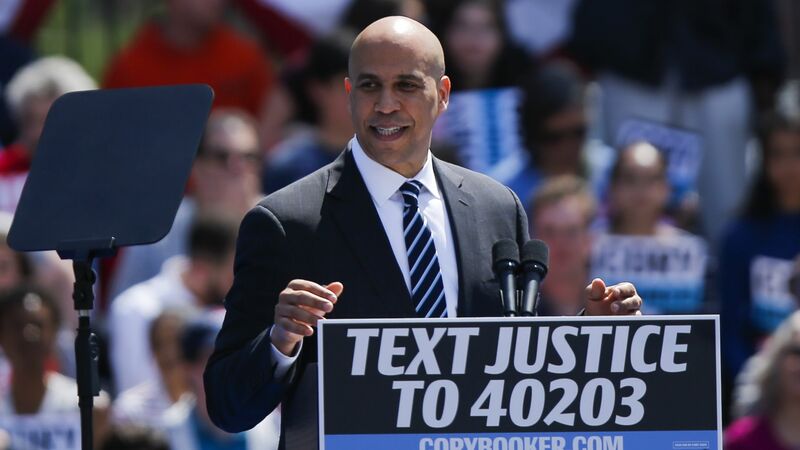 While campaigning in Iowa today, 2020 candidate Sen. Cory Booker unveiled a new policy called the "Rise Credit" that aims to expand eligibility for the Earned Income Tax Credit (EITC) to more working and middle-class families. Why it matters: Expanding the EITC is an example of some of the niche policy ideas that are becoming mainstream among 2020 Democrats. It's often referred to as a "cost-of-living refund" by activist groups. The announcement could bolster Booker's reputation as a leading voice on economic redistribution, a position that Elizabeth Warren has firmly staked out. It's also a topic that he highlighted at his kickoff speech in Newark, New Jersey, last weekend. "Creating a fairer, more just tax code begins with putting money in the pockets of Americans who are struggling to get ahead," Booker said. The backdrop: Adam Ruben, the director of the Economic Security Project Action, has been pushing 2020 candidates like Booker, Warren and Kamala Harris to propose EITC expansion plans. Harris' Lift Act is another example of an EITC expansion plan that Ruben's group supports, though they'd like to see it extend to non-traditional workers like caregivers. Details: Booker's Rise Credit would nearly double EITC income eligibility — which was previously a maximum of just over $54,000 — to $90,000 for a married couple. Eligible workers without children living at home would receive a maximum individual credit of $4,000, roughly 8 times what they get from the EITC today. The maximum EITC credit would increase by 25% under Booker's plan, amounting to more than $650 per month for a married couple. One of the more niche aspects of the expansion, which has been pushed by Ruben's group, is to redefine "traditional" work so that more people are eligible for the EITC. Booker's plan would include family caregivers and low-income students, who otherwise wouldn't benefit from this tax credit and who aren't included in all of the 2020 candidates' plans. The Rise Credit would also change the age qualifications, allowing people 18 and older to be eligible to receive the EITC.